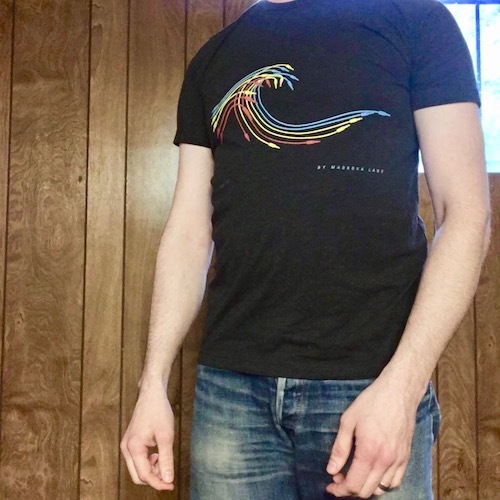 Madrona Labs Forums - News - It's Aalto T-shirts! Forums ← News ← It's Aalto T-shirts! Five years ago, I did a small run of Aalto T-shirts. It was fun making them but with all the printing and shipping and paperwork it took up roughly a couple of weeks of my time so I've never done it again... until now! The key was finding a US-based fulfillment company called Printful that prints shirts to order. I made a test shirt using their process and I've been wearing it a lot. The charcoal tri-blend fabric is very soft and has a nicely textured look. This detail photo shows it after being machine washed four times, and the colors haven't faded at all. I like that the digital print is not crackly like plastic process shirt inks are and so far, it seems more durable. These are very nice shirts. Another big benefit of using Printful is that they print to order in Europe! This means that my European customers can actually get a shirt for an affordable price. Wherever you are located, I hope it will be a pleasure to purchase through them because I'm very protective of your experience when you do anything Madrona Labs-related. So please keep me posted. 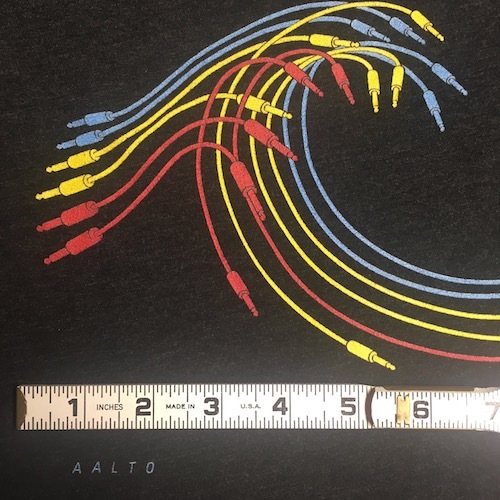 Get that sweet Aalto T-shirt! A form will pop up to enter your size, then a second page lets you select your shipping and payment options. I've set up shipping for North America and Europe. Shipping rates should be as follows: USA: $5 (first shirt) / $1 (each addl.) Canada: $8 / $1. Mexico: $10 / $1. Europe: $9 / $5. If you can't find your country on the form, give me a shout and I'll see if I can add it. Enjoy! NOTE: The European shipping rates include the VAT of $4 per shirt. @starthief I have added that option now! Should be there by 6 April. Alex, I can probably make you a one-off. Please email me and we'll work something out. Of course: email me at support@madronalabs.com and I'll sort it out.